What’s the one thing that you would not even consider going into the office without? Maybe you think it is your work phone, your suit, those high heels, that contract/report/document your boss urgently wants… or maybe it’s that mask you wear to work. - you power through your work, even though you have just had a horrible argument with your partner or a close friend. There is no longer a clear separation between our personal and professional lives. So often we work from home, have to work in the evening and on weekends and are expected to pick up work calls in our holidays or days off. It goes the other way too and we may come in to work late after doing the school run or work from home when we are getting something in our home fixed. Yet whilst the line between professional and personal lives is becoming less clear – we still seem to be reluctant to admit to our personal issues in the workplace. In the name of “keeping things professional” are we stopping important conversations about our mental health from taking place at work? 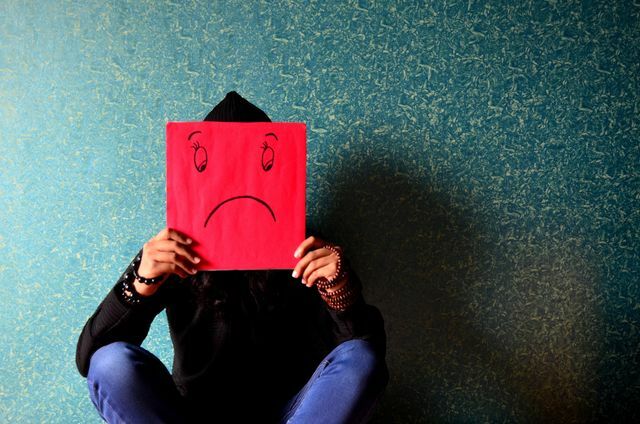 It is no wonder that employees feel reluctant to bring their personal or mental health issues to work when many think that they would face discrimination if they were to do so. A Mental Health At Work study published by Business in the Community (BITC) in 2017 found that 15% of employees choosing to disclose a mental health issue to their employer will face dismissal or disciplinary action. - we suddenly snap at a junior because of the stress our children are causing us. A survey conducted by the Mental Health Foundation reported that only 13% of people in the UK believe that they live with high levels of good mental health – and whilst bad mental health is often a result of workplace stress, it is also very often caused by factors outside of the workplace. Many organisations are beginning to implement mental health awareness or mentoring programmes to improve the mental health of their staff. Yet when doing so are they also encouraging employees to think about the impact their personal lives have on their behaviour in the workplace? Mentoring/coaching which only focuses on workplace stresses and issues is unlikely to be effective in improving employee mental health if it does not take into account how an individual’s personal circumstances may affect their performance and attitude to work. Employers are often careful not to pry into the personal lives of their employees. Professionalism is key and maintaining a certain distance is seen as being important. Yet, how can an employer really understand and seek to improve the state of an employee’s mental health if they are not prepared to talk about the personal issues faced by their staff? It would be interesting to see what progress we could make in improving the mental health of employees if staff were encouraged to take off the mask that they wear to work. Whilst professionalism is very important, allowing for and encouraging conversations about an employee’s personal life at work may help employers to better understand their employee’s changes in performance, drivers, stressors and goals.